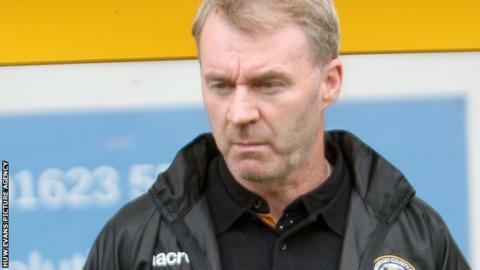 Newport County manager John Sheridan says there is plenty of hard work ahead of them despite their recent improvement. County were bottom of League Two when Sheridan replaced Terry Butcher as manager on 2 October. The ex-Republic of Ireland midfielder has overseen an eight-game unbeaten run which has seen County pull four points clear of the relegation zone. "I still feel we're in a position where we're still vulnerable," he said. "I know what I have to do. I'm going to try to get us up the table and I don't want to be looking over my shoulder for the rest of the season. "I want to try and gain an advantage as quickly as possible." Newport, who have signed Swansea City's 19-year-old striker Oliver McBurnie on a one-month youth loan deal, host Luton in League Two on Saturday.